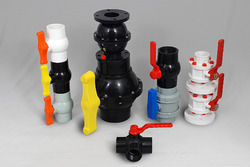 Our product range includes a wide range of pp agriculture valve, agriculture irrigation ball valve, pvc agriculture ball valve, pvc ball valves, pvc agricultural valve and agriculture ball valve. 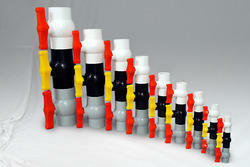 With the aid of our skilled engineers, we are able to design and develop an array of PP Agriculture Valve. Our entire range of products is rigorously tested at every level of production in order to ensure supply of the immaculate range of products. These products are well known for their durability, better performance, sturdy construction and can be customized to meet the variegated requirements of our esteemed clients. In order to meet the diversified requirements of the customers, we are offering an exclusive collection of quality-assured Agriculture Irrigation Ball Valve. We are offering PVC Ball Valves to our client. 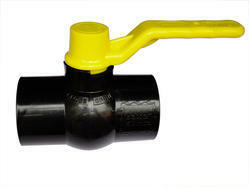 Customers can avail from us a wide range of PVC Agricultural Valve. The entire range of products is widely used in many industries. The offered range is fabricated by making use of high-grade raw material, these products are offered to our valuable clients in various specifications to choose from. All our products are checked thoroughly by quality controllers in order to ensure their defect-free functioning and untroubled nature. Customers can avail these products as per their requirement. 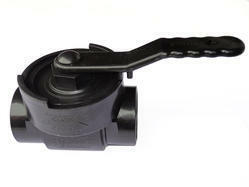 We have in stock for our customers a wide range of Agriculture Ball Valve. These valves are manufactured using high-grade raw material and advanced technology to ensure their adherence to international standards and norms. Moreover, these valves are tested on various parameters before the final delivery in order to offer tested range to our clients. 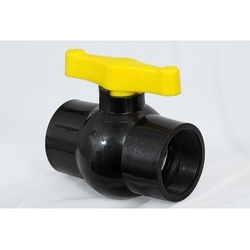 We are also dealing in Plastic Agricultural Ball Valve to our esteemed clients. 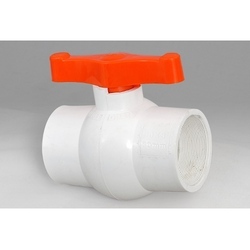 Capitalizing on our rich vendor-base, we are able to offer our clients a wide range of Plastic Agricultural Ball Valve. 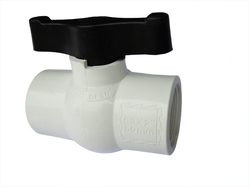 In order to append and respond to the assorted requirements of respectable clients, we are able to offer Agriculture PVC Ball Valve. With the assistance of our deft professionals, this valve is manufactured with the premium grade raw material and latest techniques. 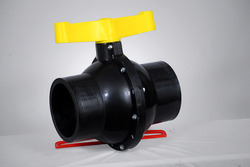 The offered valve is used in agricultural pipelines for regulating water flow. Apart from this, the provided valve is sternly tested on various quality parameters to deliver a flawless range at clients' end. We are leading manufacturer and supplier of PP Agriculture Ball Valve to our esteemed clients.